All our aluminium trolleys are designed and developed by our teams in our workshop in Berchem-Sainte-Agathe (Brussels). From the raw material to the finished product, we control every step of the manufacturing process. With more than 60 years’ experience, we have developed real know-how, and a precise knowledge of our customers’ needs. 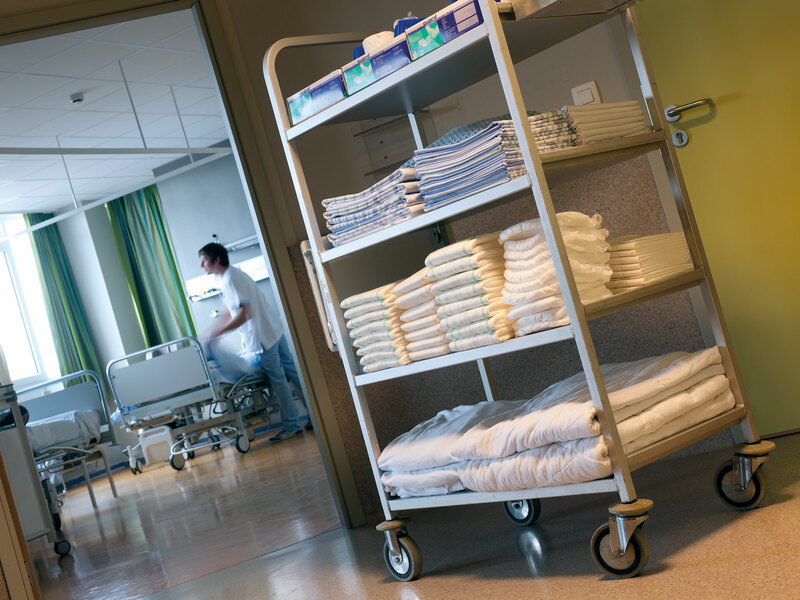 Our aluminium trolleys are designed to meet the specific requirements of the medical sector (hospitals and nursing homes), hotels and cruise ships. They can also be useful in a range of other environments, from offices to airports. Mercura enjoys an excellent long-standing reputation in hospitals and nursing homes in Belgium and neighboring countries. Our aluminium trolleys for the medical sector emphasize not only safety, rigor and hygiene, but also comfort of use and maneuverability, allowing staff to devote more time to patients. Mercura aims to maximize profitability and efficiency, as well as working comfort for your staff with aluminium trolleys specifically designed to meet your needs. Over the years, our trolleys have become an international leaders in the hospitality sector, chosen by world-renowned brands. Mercura is also the leading supplier to the cruise ship sector. Where to buy Mercura trolleys? Mercura distributes its products directly to the Belgian market, and works with a worldwide network of distributors for the international market. We also have two subsidiaries: in Switzerland (distribution of trolleys) and in Canada (distribution of trolleys, stretchers and armchairs). Looking for a Mercura distributor? A project to submit to us?